Dutch producer Martyn, aka Martijn Deijkers, is a pioneer in fusing dubstep, jungle and techno. He’s released numerous 12-inches as well as two critically acclaimed LPs, 2009’s Great Lengths (3024) and 2011’s Ghost People (Brainfeeder). His new album, The Air Between Words (Ninja Tune) is out in June 2014. This is his first contribution to Electronic Beats Magazine. There are two things that fascinate me about the New Jersey house music producer Joey Anderson. Recently I came across a few YouTube videos that featured Joey dancing. Yes, you read that right, a house producer actually DANCING to music. Through his years as a competitive dancer, Anderson was eventually introduced to DJing and making his own music. In the videos, Joey’s movements are fluid and beautiful; they look invented on the spot and in the moment, nothing seems planned or contrived. In total alignment with the rhythm, his moves feel random but in the best sense of the word—like how water always finds the easiest way down stream. Anderson approaches making music in much the same way. My second moment of fascination with Anderson was when I heard his track “Auset”, which was released last year on his Above the Cherry Moon EP for Avenue 66. Many people, including myself, were introduced to Anderson’s music through Levon Vincent’s Fabric 63 mix CD but it was “Auset” that proved to me his virtuosity as a musician. The track starts with a menacing synth riff filtering in and out with several other elements added to it before it all breaks down midway, leaving us with just a kick drum. The tension builds and fading in from the distance is an entirely new riff that catapults the music to a new level of darkness. Then, when a frantic piano theme accompanies it, you’re truly in another world. This is not a techno track, but a story; with an end that is different from its beginning; with a development that captures the listener, picks you up, and puts you down in a different place. Anderson’s debut LP After Forever released on the Dutch Dekmantel label, captures the natural fluidity of his dancing in sound, as well as his exquisite skill of transforming a techno track into an almost meditative moment. After the beatless opener “Space Between Curtains”, the album really kicks off with “It’s A Choice”, which is rhythmically the most adventurous of them all. A Moog-like lead guides you through the song almost hesitantly and without leading to any sort of climax, the song’s easy progression becomes infectious. “Maiden Response” and “Amp Me Up” do similar things, establishing a rhythmical foundation with interesting patterns of leads on top. They develop slowly without doing anything majorly different. It’s meditation, you get into the zone, and you stay there. I’ve heard Anderson’s music described as psychedelic and “trippy”, but I think those are unfair categorizations. These songs are not just little themes that happen to sound better when on hallucinatory drugs. They’re much more than just that. These are entry points to a Zen-like state. That said, Anderson does not always hit home runs. His music is a very fine balance between getting the movement and development of a track just right or sounding a bit noodle-y. The middle part of After Forever, with “Keep the Design” and “Brass Chest Plate” have good rhythmic ideas and interesting sounds, but it all gels together a little less than some of the rest. By no means are these bad songs; they just have less focus. Anderson gets back into gear on “Archer’s Ceremony” and “Sky’s Blessings”, with the latter a sort of redux of the former but in a more energetic fashion as “Heaven’s Archer”. This triptych brings a very strong ending to the album, and makes me want to go straight back to the beginning of it all, which is an obvious sign of quality. 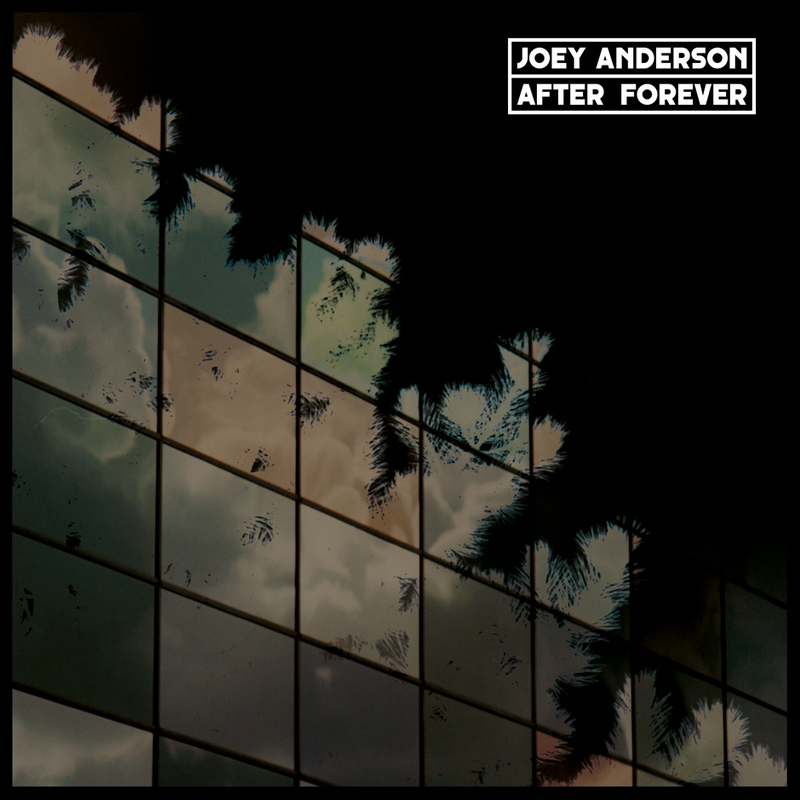 Joey Anderson’s LP After Forever is out now on Dekmantel. This text first appeared in Electronic Beats Magazine N° 38 (2, 2014).